Over the decades the most outstanding or the most kitsch (occasionally both) forms of popular culture have become viewed as museum-quality art. It’s a process of nostalgia and artistry that has a counterpart in the gravitation of 1950s and ‘60s doowop groups from Top 40 AM radio to PBS specials. 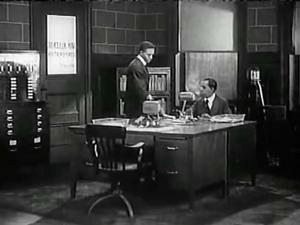 Film was one of the earliest form of mass popular culture to be acquired for the collections of fine art museums because of the artistic appeal of its stills, the special effects of its technologies, the bold graphics of its posters and the memory of its magical, transporting power in the darkened movie “palaces” of the pre-TV era. In 1932 the Museum of Modern Art’s founding director Alfred Barr maintained that it was important to introduce "the only great art form peculiar to the twentieth century" to "the American public which should appreciate good films and support them. 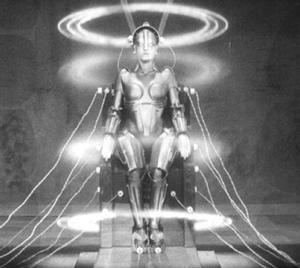 Soon a film art canon was established with productions such as Sergei Eisenstein's Potemkin (1925) and Fritz Lang’s Metropolis (1927) and it grew to include works such as Kurosawa’s Rashomon (1950) and the major films of Ingmar Bergman and Fredrico Fellini. Film became a form of visual art and directors became “auteurs.” American film art that once ran at the shopping center cineplex include films by Clint Eastwood and Martin Scorsese. Movies also are collected by museum curators as historical artifacts. 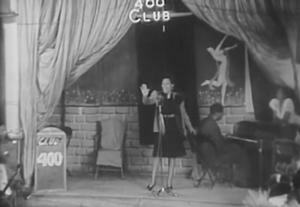 And now, as film historian Olivia Drake explains, the works of early African American filmmakers and non-black filmmakers of black subjects (i.e. “race films’) are being collected, preserved and interpreted as artifacts and as art. The Museum of Modern Art’s film series, A Road Three Hundred Years Long: Cinema and the Great Migration, June 1-12, 2015, was the Department of Film’s companion series to the museum’s broader exhibition, One-Way Ticket: Jacob Lawrence’s Migration Series and Other Visions of the Great Movement North. 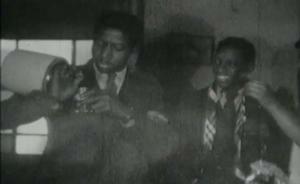 The Department of Film’s curator Joshua Siegel with independent curator Thomas Beard and research assistant Candace Ming assembled a collection of rare fiction and non-fiction films of the 1920s to 1940s which illuminate the search by African Americans for "the warmth of other suns” beyond the South. On the day I visited the exhibition, film scholar Jacqueline Najuma Stewart of the University of Chicago discussed four very rare films: Symbol of the Unconquered (dir. Oscar Micheaux, 1920), The Broken Earth (dir. 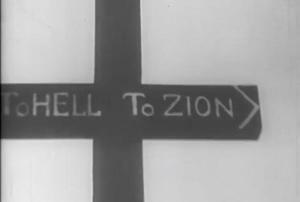 Roman Freulich, 1936), Hellbound Train (dir. 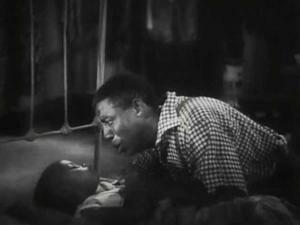 James Gist, Eloyce King, Patrick Gist, 1930), and The Blood of Jesus (dir. Spencer Williams, 1940). 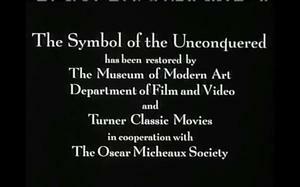 The opening titles of Oscar Micheax’s Symbol of the Unconquered explained that is a restoration by MoMA Department of Film and Video and Turner Classic Movies, in cooperation with The Oscar Micheaux Society. 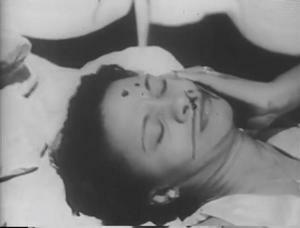 The only surviving print of the film is housed in the collection of the Cinématheque Royale in Belgium. Film Historian Charles Musser translated the French intertitles to English for MoMA’s screening that evening. In Symbol, protagonist Eve Mason (Iris Hall) is a light-skinned inheritor of land that belonged to her recently deceased grandfather. She leaves her hometown of Selma, Alabama and travels to Oristown, a fictional city in the Northwest to claim the land. When she arrives, she encounters the evil Jefferson Driscoll (Lawrence Chenault), a light-skinned businessman who owns the Driscoll Hotel and is passing as white, a common tactic blacks used during this period when migrating north for better jobs and status. When Eve asks for a room, Driscoll recognizes that she is colored, as we were called then, and forces her to sleep in his barn. In the morning, Eve meets Hugh Van Allen (Walker Thompson), a prospector, who, thinking she is white, helps her get settled onto her grandfather’s land. Three criminals, including Driscoll, become involved in a plot to steal important documents from Eve’s house as well as scheme to steal Van Allen’s land, after discovering its existence of oil fields. The criminals involve the Ku Klux Klan to assist in frightening Van Allen to sell his land, but to no avail; the community counters the Klans’ attack on the property and drives them away. Two years later, Van Allen becomes an oil king and is a successful business owner. He is visited by Eve, who reveals to him via a letter from “The Committee for the Defense of the Colored Race” that she is of African descent. Broken Earth is an eleven-minute experimental film directed by Polish still photographer Roman Freulich. 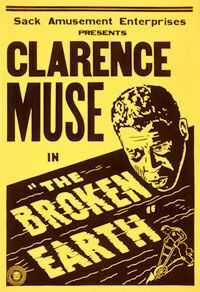 It stars African American motion picture icon Clarence Muse in a short tale about a farmer whose son is dying. He prays to God to save his son and soon after he is revived. Although Freulich’s plot is uncomplicated, his still photography transforms the piece into an art film, as he carefully interweaves his shots with versatile angles to tell his story. The short sequences alternate from reality to fantasy as Muse prays to a theatrical scene made to depict heaven. 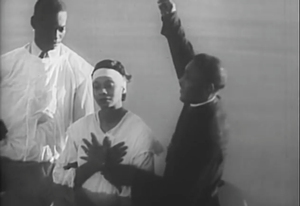 Husband and wife filmmakers and evangelists James and Eloyce Gist, and James Gist’s brother Patrick, directed Hellbound Train, which was resurrected by Howard University film professor S. Torriano Berry, after finding pieces of the footage at the Library of Congress. A graduate of UCLA’s renowned department of Motion Picture and Television, Berry reconstructed the film himself and has since organized screenings for the purpose of its preservation and continued existence. 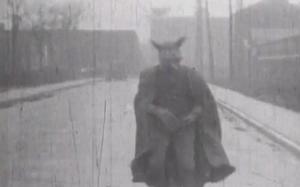 Hellbound Train is the directors’ commentary of ‘the devil’s’ influence on those who ‘choose to live in sin.' A group of passengers push and shove to board an ominous steam locomotive heading…to Hell, as the title declares. 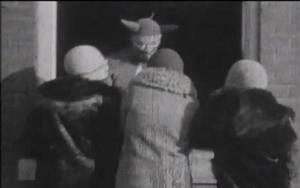 Onboard, passengers are seen drinking, laughing and dancing in every car as ‘the devil’ encourages the “sinners’” activities, while the directors sermonize the spectacle in captions. The final film of the program was The Blood of Jesus directed by Spencer Williams. Most remembered as one-half of the acclaimed Amos ‘n Andy television sitcom comedy team of the early 1950s, Williams took up film directing for the first time when he directed this film. It stars Catherine Caviness as Martha, a devoutly religious newlywed who is accidentally shot and killed by her rapscallion husband, Ras, portrayed by Spencer Williams himself. Martha’s church congregation comes to her home and prays for her recovery as an angel appears and takes her spirit from her body. 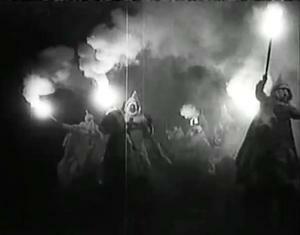 She is brought to the Crossroads, where she meets the handsome Judas Green (played by Frank H. McClennan), who introduces her to a seedy underworld, under the control of Satan (James B. Jones). As a misunderstanding concerning a stolen wallet arises, Martha narrowly escapes the commotion and finds her way back to the Crossroads, where Satan awaits. Under a wooden cross displaying routes to Hell or Zion, the angel saves Martha as it drives Satan and his gang away. The wooden cross transforms into a vision of Jesus Christ being crucified, as blood drips down onto Martha’s face. She is brought back to the ‘living world’ and regains her health. These are a sampling of what once were called "race films" (which become a well-regarded genre — black independent film). Nevertheless, the race film demonstrates that African American filmmaking was not only a viable means to keep black moviegoers content, but it also demonstrated an expression of social consciousness at a time when black voices were muted. 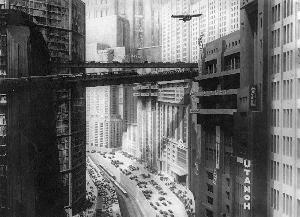 For a listing of all films showcased in MoMA’s Department of Film companion series, visit here. To learn more about MoMA’s exhibit, One-Way Ticket: Jacob Lawrence’s Migration Series and Other Visions of the Great Movement North (which is ongoing until September 7, 2015), visit here.